Perfect for removing dead hair from undercoat and topcoat. Features 13 long- teeth, flexible spring-mounted pins that adjust to the contour of your pet's body. 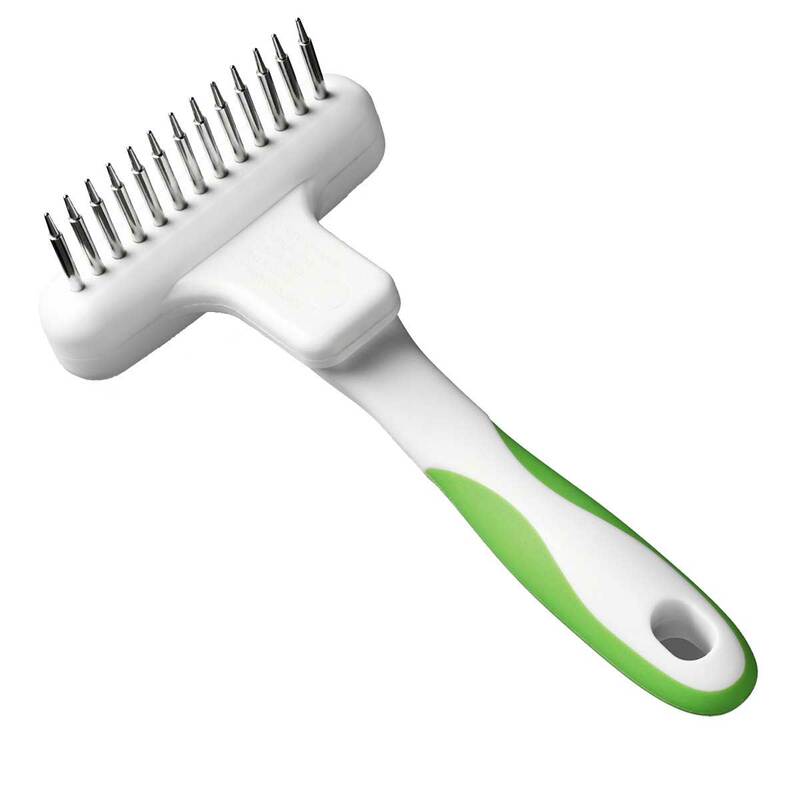 Teeth rotate 360 degrees to reduce pulling hair while combing. Ideal for small to medium dogs.